The Family Doryanthaceae contains the single genus Doryanthes. 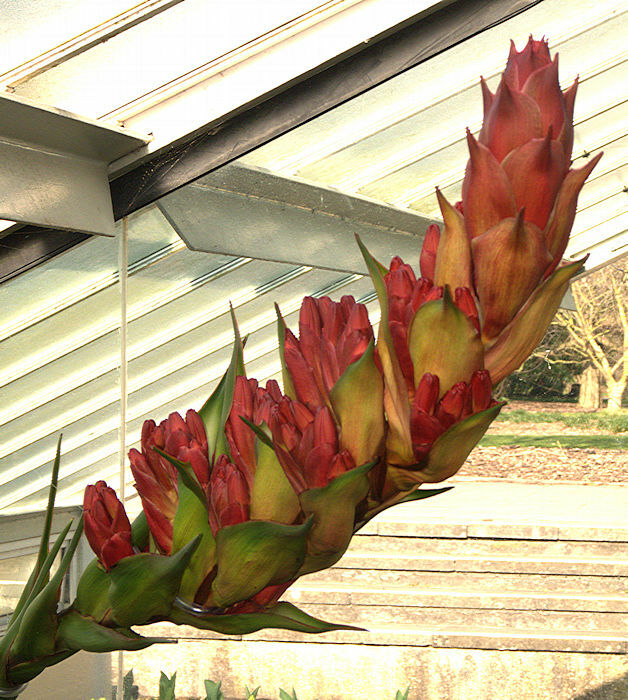 These plants were formerly grouped within the Agavaceae as Furcraea australis. This genus includes two species D. excelsa and D. palmeri, whose basal rosettes are formed from large, leathery lanceolate leaves. 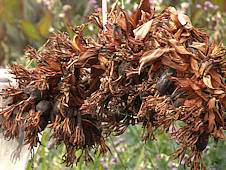 Roots are tuberous enabling the plants to withstand bush fires and to clump up from the tubers. 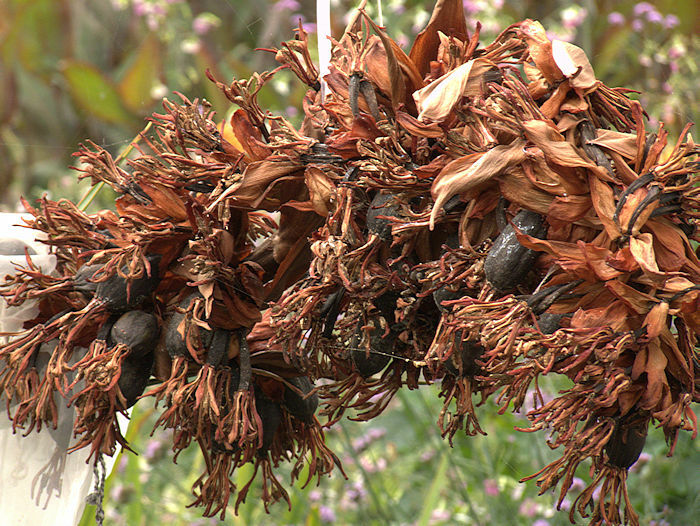 Natural flowering occurs following bush fires, the smoke from which also stimulates germination of the seeds. 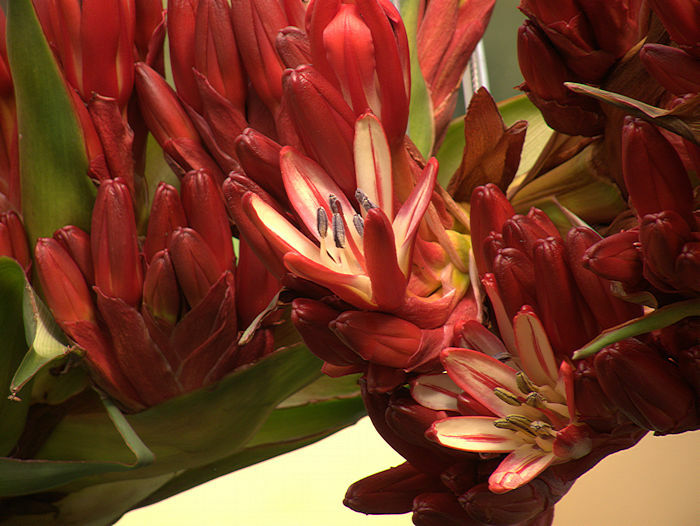 The inflorescence is a raceme of intense red flowers which are probably bird pollinated. Both species are native to Eastern Australia. Aboriginals ate the immature inflorescences and ground the fleshy root tubers into a pulp to make cakes. 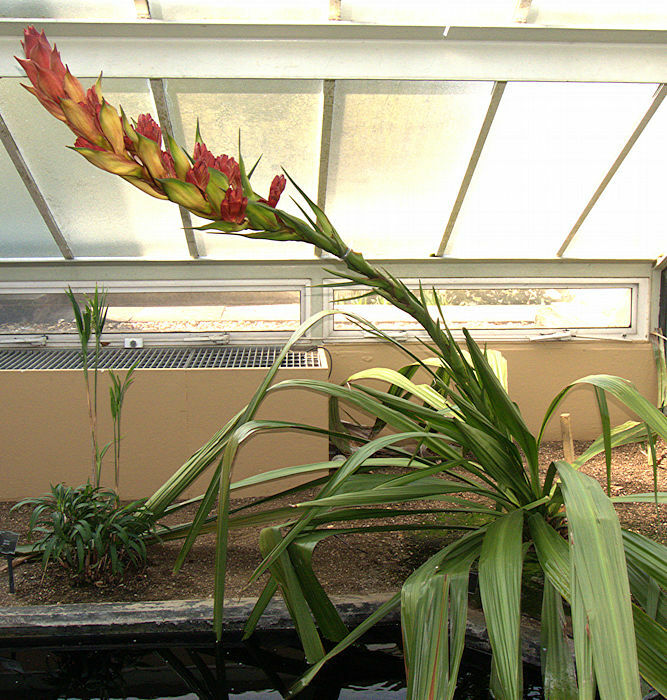 The lanceolate leaves can grow up to 10 ft long and the inflorescence at least 12ft. Native to Queensland and New South Wales. 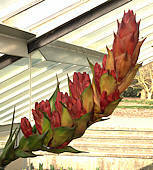 Flowering in cultivation is said to be infrequent although fire smoke might help.